Groundwater resources are important sources of drinking water in Africa, and they are hugely important in sustaining urban livelihoods and supporting a diverse range of commercial and agricultural activities. 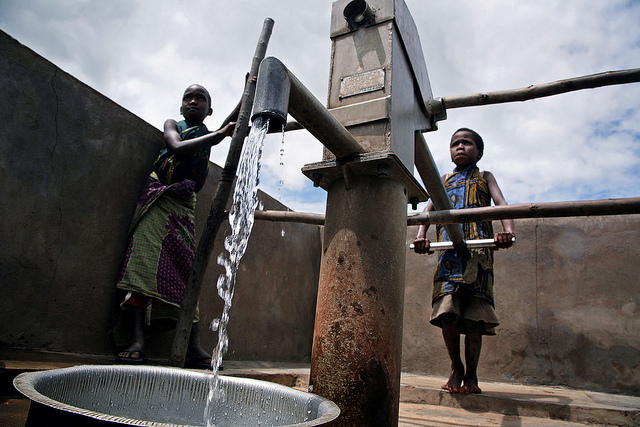 Groundwater has an important role in improving health in sub-Saharan Africa (SSA). An estimated 250 million people (40% of the total) live in urban centres across SSA. SSA has experienced a rapid expansion in urban populations since the 1950s, with increased population densities as well as expanding geographical coverage. Estimates suggest that the urban population in SSA will double between 2000 and 2030. The quality status of shallow urban groundwater resources is often very poor due to inadequate waste management and source protection, and poses a significant health risk to users, while deeper borehole sources often provide an important source of good quality drinking water. Given the growth in future demand from this finite resource, as well as potential changes in future climate in this region, a detailed understanding of both water quantity and quality is required to use this resource sustainably. This paper provides a comprehensive assessment of the water quality status, both microbial and chemical, of urban groundwater in SSA across a range of hydrogeological terrains and different groundwater point types. Lower storage basement terrains, which underlie a significant proportion of urban centres in SSA, are particularly vulnerable to contamination. The relationship between mean nitrate concentration and intrinsic aquifer pollution risk is assessed for urban centres across SSA. Current knowledge gaps are identified and future research needs highlighted.